Corruption in every stage of the tropical timber trade fuels deforestation, which adversely affects forest communities, leads to biodiversity loss and jeopardises the environment. 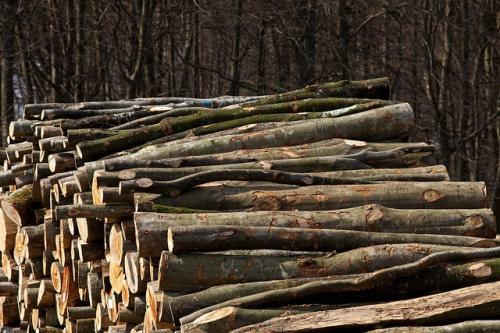 A new report by international watchdog Global Witness says that developing countries supplying timber to the European Union (EU) witness high levels of corruption. In Cambodia for instance, corruption is deep-rooted due to the existing nexus between logging companies, politicians and government officials. According to the United Nations Environmental Programme and INTERPOL, illegal logging tops the ranking of environmental crimes with an estimated value of US $ 50-152 billion annually. In terms of economic value, “governments lose US $ 10 to 15 billion annually in lost revenue” due to illegal logging, Robert Simpson, a Food and Agriculture Organization (FAO) expert, says. He blames illegal logging for undermining sustainable forest management and reducing forests’ capacity to provide environmental services. Illegal timber trade also gives rise to conflicts between local communities and logging companies, a campaigner at Global Witness told Down To Earth earlier. A June 2015 Global Witness report blamed illegal and uncontrolled logging for alleged human rights violations. Simpson adds that indigenous communities lose access rights to forests. Besides conflicts, illegal timber trade leads to biodiversity loss. Citing the example of Democratic Republic of Congo (DRC), the 2015 report points out that logging is responsible for degrading the country’s rainforests. The report adds, “…it is illegal industrial logging that is acting as a major driver of forest degradation and deforestation”. In many timber-producing countries, the government is the largest landowner and awards logging concessions and licences through public tendering processes. Such contracts concentrate power in the hands of those who award them and are highly lucrative to the companies that win them. This leads to corruption, particularly in those countries that suffer from deep-rooted governance and accountability challenges, Global Witness says. To tackle corruption, the EU should raise the issue of corruption with producer countries, re-shape policies and strengthen the enforcement of EU timber regulation. This is imperative for conserving forests, biodiversity and climate. Last year, the Food and Agriculture Organization welcomed an agreement by Indonesia and the EU to issue the world’s first Forest Law Enforcement, Governance and Trade (FLEGT) timber licence as a major achievement in the fight against illegal logging. The FLEGT license can accompany shipments of timber exported from Indonesia to EU countries to certify that the timber has been harvested, transported, processed and traded according to the Indonesian law. The is part of the EU’s FLEGT Action Plan adopted in 2003 to promote measures to tackle illegal timber trade and contribute to sustainable forest management, which features in the 2030 Sustainable Development Goals.